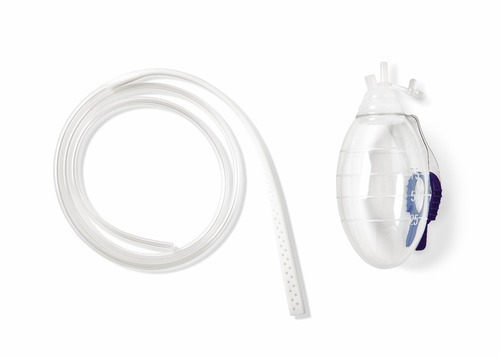 Medline drainage kits are used to remove exudate and excess fluid from a patient’s surgical site wound to promote healing. The perforated end of the drain is placed in the surgical wound site to be enclosed within the patient. The distal end of the drain tubing is connected to a reservoir bulb for fluid collection. The product is uniquely designed with a system of multiple channels and lumens that are interconnected through a series of internal portals.